37 Watt downlighter for furniture showroom lighting. The Otis series are developed in close collaboration with leading entrepreneurs in the furniture retail market. The Otis series offers perfect colour reproduction for both wood, leather and textiles. One can choose between: CRI>80, CRI>90 or even CRI>95. 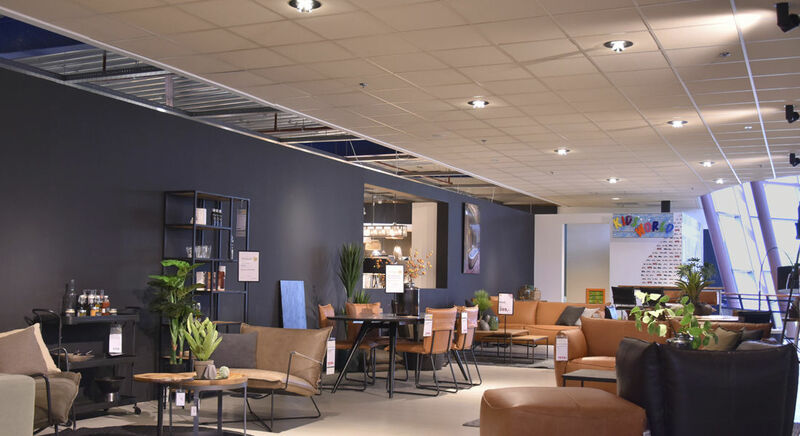 3 different objects like sofas, cabinets or paintings can be illuminated with the independent adjustable mirrors and downwards the Otis spot acts like a standard downlighter. Each mirror optic holds 2 adjustable mirrors. One can easily adjust the beam angle for a perfect illumination of all relevant objects in a furniture studio. In comparison with a 100 Watt SWT the energy savings are no less than 65%! 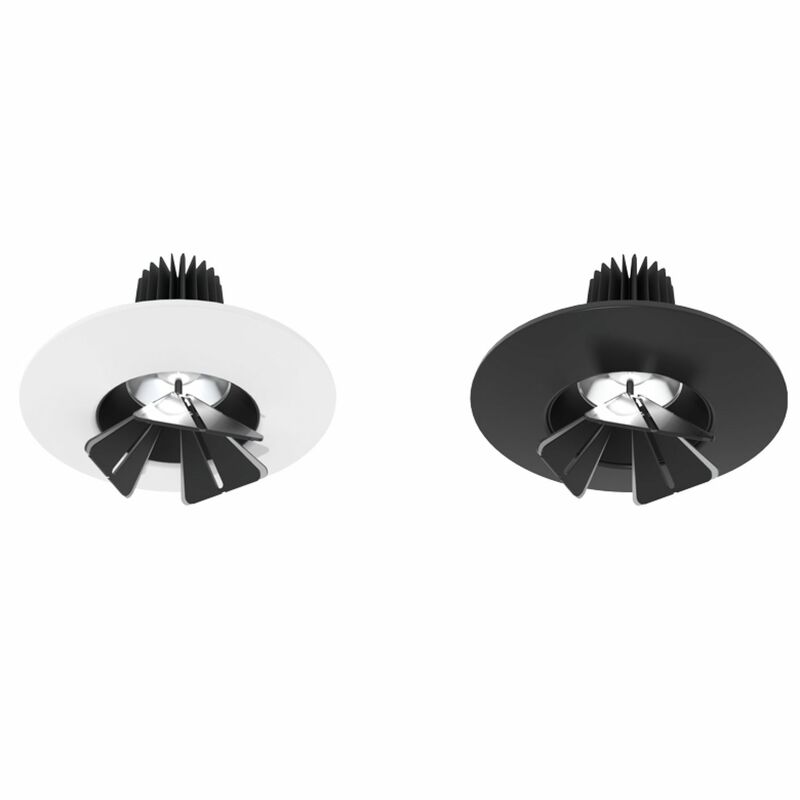 Compared to a 70 Watt CDMT the Otis fixture saves you still 52% on the energy bill. With a average life time of 50.000 hours no more costly replacement of bulbs.